Retirement planning, especially as you’re getting closer to it, may be stressful. This RRSP season, you may be finding yourself thinking about unknown expenses that may occur in the future, how to maintain your lifestyle during retirement, and trying to ensure everything is going to be alright. You have been contributing to your registered retirement savings plan (RRSP) diligently however have you re-visited your contributions in the last few years? Especially if you’re approaching retirement within the next 5 years, taking chances and assuming/ hoping for things may not be in your best interest. After all, not only have you saved diligently to get where you are today, you’ve worked hard and are looking forward to experiencing everything life has to offer after your career. So, let’s keep that momentum going! 2015 contribution room: 18% of earned income (less any pension adjustment) to a maximum of $24,930. 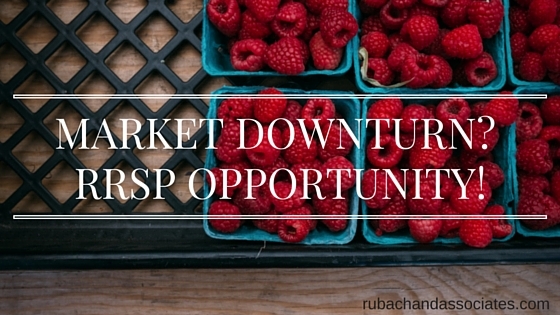 The market downturn, presents an opportunity to make large RRSP contributions now if you have extra RRSP room. Historically, annual returns on equities following downturn years have yielded higher than average returns. As such, you may want to consider buying equities into your RRSP. Also, as a result of the cyclical nature of the markets, an RRSP catch-up loan could help to utilize your unused contribution room and provide a tax deduction. Depending on your personal income tax situation, this could result in a tax refund that could be used to help pay down the RRSP loan. If you’re banking on getting a refund this year and blowing it on toys, trips and jewellery, stop and think. If you were expecting a bonus from work, would you spend it all on things you may not necessarily need or would you use it for something better? A tax refund certainly makes people jump for joy but you worked for that money, it’s your money (not free money)! Especially if you’re close to retirement, reinvest it and put it to work for you. Never forget that your RRSP is fully taxable when you begin withdrawing money from it. Even though you’re deferring taxes today, you’re not avoiding them! 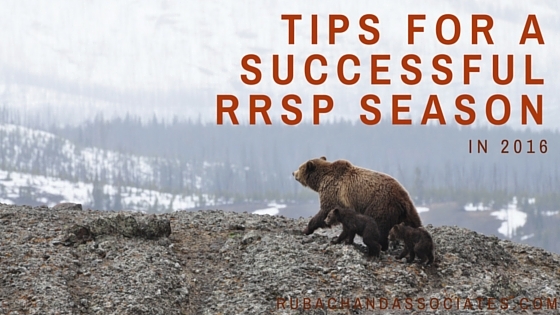 You have to remember that upon withdrawal, your RRSP will be taxed based on your tax bracket. By simply looking at your statements and not taking your taxes into consideration, you may think that you’re richer than you actually are. Part of your RRSP belongs to the CRA. With the market downturn and the February 29, 2016 RRSP deadline fast approaching, it’s emotionally draining to even think about meeting your retirement goals. Don’t avoid the subject just because it’s stressful. Speak with your financial advisor frankly to ensure your financial plan matches the retirement you want. The small time investment you make into retirement planning now alongside making 2016 a successful RRSP season, will provide peace of mind today and financial stability later. If you’ve maxed out your RRSP contribution room and are interested in learning about alternatives that will help you shelter additional growth from taxes, speak to us. Please ask us RRSP questions below or contact us by clicking here. pretty basic info that everyone knows. nothing new there.